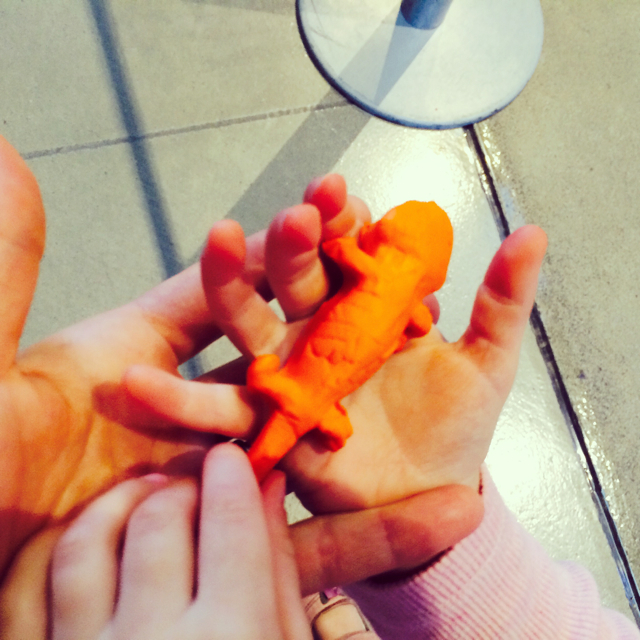 These school holidays, Melbourne Museum has lots of dinosaur fun for little ones. This is by far little Miss' favourite school holiday program at the Melbourne Museum! We started our adventures by 'hunting' for dinosaurs around the Museum and soon lost count as they were so many! We then checked out the permanent 'dinosaur walk' exhibition, played in the outdoor and indoor kids' area and finished off our visit making a little dinosaur to add to a giant dino diorama (or so we thought), as little Miss wanted to take hers home. We have since visited the museum and little Miss was excited to make a different dinosaur, chilling out in the dino lounge and meeting roaming dinosaurs.